Welcome to the Sixth Grade! I am especially delighted to be teaching your child science. I will be utilizing the Next Generation Sunshine State Standards (NGSS) and Common Core State Standards (CCSS) in conjunction with the Clay County Curriculum for Sixth Grade Science. The state requires that all sixth grade students must pass science with a "60/D" or higher for the school year in order to be promoted to seventh grade. To ensure that I cover all the material completely, I will be using the sixth grade textbook called Interactive Science. Students will also complete hands on labs and participate in demonstrations. All grades are weighted equally. Students will keep an organized notebook (1" notebook with 5 tab dividers) for each unit of study. Contents of the notebook will be collected and graded at the end of each unit. These notebook grades will serve as students' grade. Study guides are given to students a minimum of two (2) days prior to announced test dates. Generally speaking, if it's on the study guide, it's on the test...no surprises! Papers receiving a grade of "D" or "F" must be signed by the parent and returned to me the next day. Students are required to check with me for assignments missed due to absences and it is the "student's responsibility" to request make-up work from me. Make-up work not received in a timely manner will result in zeros. A major part of sixth grade is working on organization and independence. Our goal is for your child to have a successful transition over to the junior high next year. I hope you will support me in emphasizing to your child the importance of completing all assignments on time in order to improve your child's overall grade. Part of the first and second nine weeks will include the Science Fair. 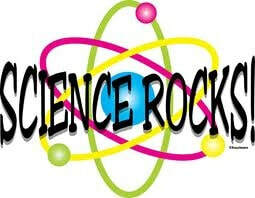 All sixth grade students are required to complete a science fair project. Students and parents will be notified in advance of the project/report requirements and due dates. Ample time will be allotted to complete the project/report.